McCarthy’s bar is a great traditional pub, which remains virtually unchanged since it was originally built. The doorway leading you from the bar to the bistro is, in fact the original and is 200 years old, with its traditional stained glass screens. 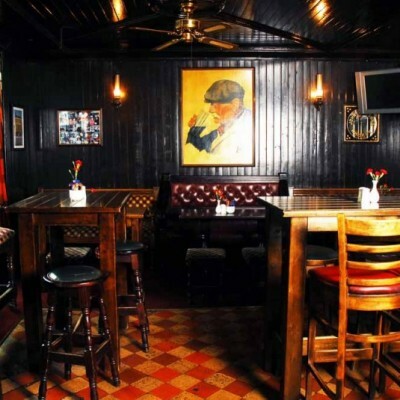 The interior of McCarthy’s Bar is dark, yet cosy, and lit by traditional style lighting. Pictures of local characters of past years adorn the walls. McCarthy’s bar stocks a wide range of beers, wines, spirits and speciality drinks to choose from. Whether you would like a carefully pulled pint of Guinness or a glass of a hand selected wine – McCarthys has the perfect drink for you. A full bar menu is also available daily until 9pm. Our kitchen team pride themselves in providing delicious and varied menus using local produce where possible. Enjoy contemporary cooking in a relaxed and friendly atmosphere…. 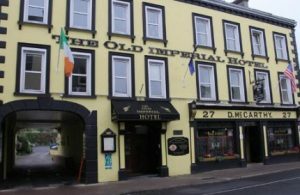 Family friendly boutique hotel, situated in the centre of the historic town of Youghal.